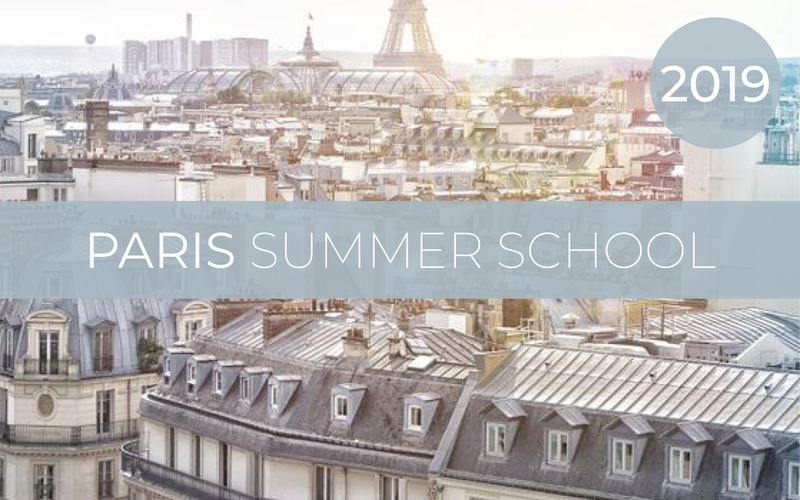 Regardez la vidéo* to hear all about our incredibly exciting plans for our first-ever summer school in Paris! Seven days straight of morning lessons with Lingua Franca, in tiny groups with lessons tailored to your level. Practise what you’ve learned the minute you step out of the classroom. Come and join Katrina and Lingua Franca as they open up a Parisian nid* for the very first time in July of next year. Classes from Monday 15th - Sunday 21st July 2019. Are you keen to get under the skin of this amazing city and learn as much as possible of its history and culture? We have found two brilliant guides to really bring Paris to life for you. Post-lesson, you may have a favourite gallery to race to, a date with a friend, or you might even just like to wander the streets of Paris by yourself. It’s totally up to you. We want to give you as much flexibility as possible, so we’re leaving the rest of the arrangements to you. Bijou* hôtel you’ve been dying to try? Loads of frequent flyer miles? The choice is yours. A drink on the terrace of a beautiful café will round out our day, giving us the chance to shares our tales, relax and just soak up the incredible ambiance of a Parisian summer. Of course, if you’d rather we arranged it all, we’re very happy to provide hotel and airline recommendations, transfers and insurance. As always we’re working with Emma from Travel Managers. 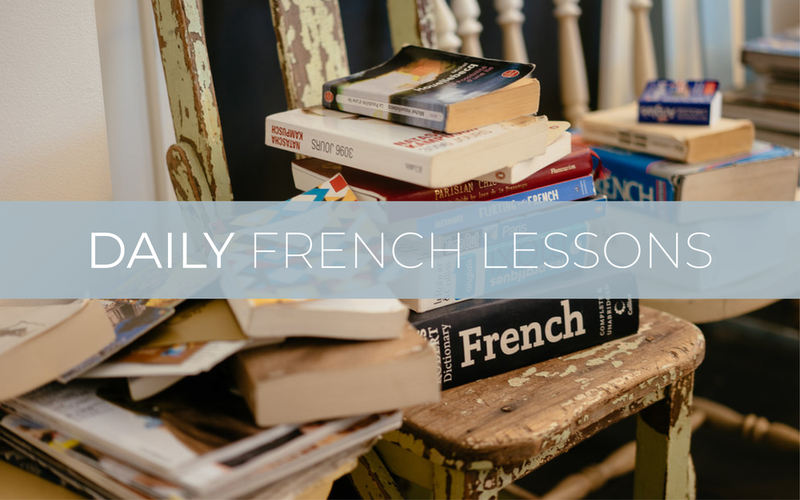 Watch your French take off as you’re immersed in French for a whole week. You’ll be delighted by the results of daily formal instruction and real-life interactions. C’est promis*! We want you to get the most benefit in the shortest amount of time. This is why we’ve only planned a week. While lessons will still be relaxed and friendly, they will be focused, relevant and high-impact. Option 1: 7 lessons (3 hrs/day) and materials, Summer School gift pack and welcome and final night dinner. Option 2: all of the above plus 5 afternoon tours with our fantastique* guides. The response to this idea has been overwhelming. Our chouchous are excited and naturally have lots of questions, so here are some answers to the most common ones. Of course, if you have more, please do not hesitate to let us know. It is like a little jewel in the heart of the 10th arrondissement. Once two apartments that stood side-by-side, the area has now been turned into a charming little house and event space (see photos below). It is the home of Petit Comité, a business run by mother/daughter team Marie Laroche and Lucie Bichelberger. We have rented the space out for the week of the summer school, but Marie and Lucie’s touch will not be far away: they’ll be delivering home-made cakes and pastries each morning for our pauses-cafés as well as catering a special welcoming dinner for us on the first night. The school is on the ground floor of a very quiet street (Cité Hauteville) in the 10th arrondissement. In September Lingua Franca stayed in this area on their inaugural trip to France and the feedback was extremely positive: central, safe and lively. The closest métro stop is Poissonière and there are a huge amount of fantastic bars, restaurants and shops just metres down the road. We know you’re a busy group of people and you like to get things done. By limiting the lessons to seven days, we can keep the instruction constant and focused. It’s a blast of French that we can’t give you in Australia: there’s no replicating the immersive value of constant lessons and real-life experiences for seven days straight. We also know you’re a well-travelled bunch, and many of you have friends and family living overseas. We thought a week in Paris would be the perfect length of time to combine with other European travel plans. Why are flights and accommodation not included for this trip? Mostly for the reasons above, that is, that we expect many of you to combine the trip with other travel plans in Europe or elsewhere and therefore to stipulate dates of travel would be restrictive. As for the accommodation, we imagine some of you already have a favourite hotel, others may wish to stay with friends or family and we wanted to give you the option of finding a place to stay that suits your particular style and budget. Can you arrange flights and accommodation for us? Of course! We’d be more than happy to book flights, hotels, transfers, travel insurance and extra experiences. We have a relationship with Hôtel Paradis, a charming 3-star hôtel just five minutes from the school. This boutique hotel group has two other properties in the area: Hotel Bienvenue and Hôtel Panache (3- and 4-star respectively). There are many other options, though, so please contact Emma from Travel Managers to get the ball rolling. Email: emmar@travelmanagers.com.au. Flights from $1650 (return economy-class fare). The best things about doing lessons sur place* is how immediately useful the content is. The minute you step out the door of the school, you’ll be able to put into practice what you’ve just learned. As mentioned previously, the group will be divided into two groups, according to level. Lessons will start at 9:00am and will go through to 12:30pm. At 10:30am, we’ll take a pause-café* (think coffee and pâtisseries) for you to clear your brain and stretch your legs. We’ll have two tutors (Katrina and one other) and therefore two small groups: one around the big kitchen table and the other in the salon* across the hall. Your first lesson of the day, when your brain is fresh and active, will give you the structure to negotiate the afternoon’s activities. After the pause-café, the groups will swap locations (and tutors) to focus on learning the vocabulary you’ll require. We’ve been so inspired by the huge improvement we’ve seen in the students who took part in our recent France trips that we’re really excited to see the results of a more intensive program. Never fear, though, Lingua Franca lessons will always remain relaxed and friendly, as we believe happy brains learn best. The school bell will sound at 9:00am, and lessons will be wrapped up at 12:30pm, the perfect time for you to go in search of a delicious déjeuner*, whether in the local quartier* or somewhere further afield. Afternoons will be free for you to explore on your own, or if you’ve taken the activities package, you’ll be in for a treat being shown the sites and explained the history of Paris by one of our two guides. In the late afternoon, we’ll meet at a local bar for an evening apéro* and the chance to discuss your day. We have arranged to work with two excellent local guides, Jean-Manuel Traimond and Edward Holford from Paris with Ted to provide tours for five of the seven days we’ll be in Paris. Jean-Manuel has been a guide for more than 28 years and is also an author or art books and a university lecturer. He is an incredibly engaging presenter, who really draws you in to his stories of history and culture. Edward, from Paris with Ted, was born and raised in Paris with a French mother and a British father. He completed his university studies in the UK so is therefore not only completely bilingual but bicultural as well. Ed’s tastes verge to the more off-beat so look for some interesting tour choices from him. We’ll decide on the exact tours closer to the time, but expect such tours as the Musée d’Orsay, flea markets, the banks of the Seine and their rejuvenation, the Canal St Martin and even revolutionary Paris. Tours will last between 2 and 3 hours and will be conducted in a mix of French and English, adapted to the level of the group. And what if I decide not to take the activities package? That is totally up to you, of course, and will give you more time to explore Paris on your own. Perhaps you have compiled a list of things you’d like to see and do and are keen to work your way through it over the course of the week. In any case, the lessons will not be lost on you as everything you’ll learn in the morning will be immediately applicable in the afternoon, whether you do the organised activities or not. The apéro is not compulsory either, so if you find yourself caught up in the delights of Paris and unable to make it to our chosen bar at the agreed time, ne vous inquiétez pas*. The apéro is just a chance for us to get together as a group, recap our day and have a chat and a drink. Are there any dinners together? Oui*, in fact we’ve organised two and they’re included in the price. 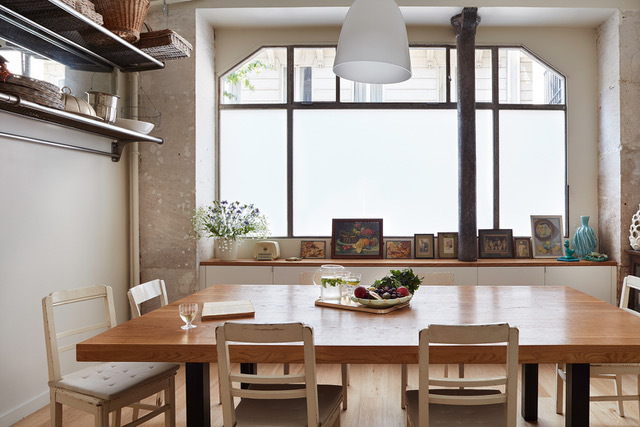 Our welcome dinner will be held around the kitchen table at Petit Comité, and will be catered by Marie and Lucie. This will give everyone a chance to get to know one another and to settle into our new nid. Our farewell dinner will be held at a local restaurant before we leave the next day so we can come together one last time to celebrate the first-ever Lingua Franca Summer School. Yes, that’s about it from our end, but if you have any questions at all, please do not hesitate to let us know. *nest | *Jewel-like | *It’s a promise! | *fantastic | *on the scene | *coffee break | *living room | *lunch | *area | *pre-dinner drink | *don’t worry | *yes | *Is that all?